NARA M1279. 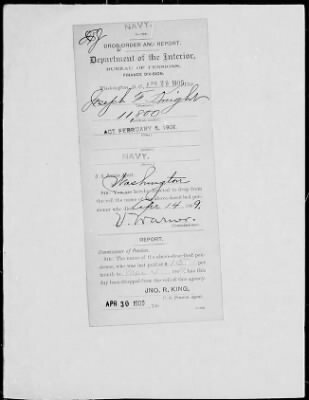 Approved pension applications of widows and other dependents of U.S. Navy veterans who served between 1861 and 1910. Within this publication, you can search approximately 20,000 approved pension applications of widows and other dependents of U.S. Navy veterans who served between 1861 and 1910. Search for a name, ship, place, or keyword. Or, use the browse menus to locate a sailor by surname. Case files include where and when a man served, details of his service, his life before the war, and his family, including information about his widow, children, and sometimes his parents.